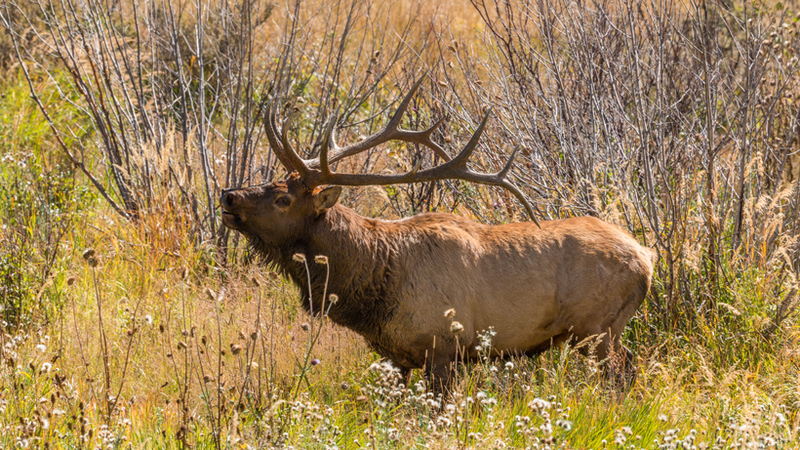 Two bull elk were illegally killed inside the Rocky Mountain National Park – an area where hunting is strictly prohibited – earlier this month. Both elk, which were described as “magnificent” by park rangers, were discovered near Trail Ridge Road, according to the Fort Collins Coloradoan. One bull elk was discovered with its head severed on Trail Ridge Road near Milner Pass and is believed to have been killed on either Sept. 11 or 12; the other elk was killed only a couple of weeks later – sometime between Sept. 21 or 22, The Durango Herald reports. Officials have not said if the incidents are related, but are asking for help in determining the culprits behind these wildlife crimes. If you have any information on either incident, please call or text the National Park Service Investigative Services Bureau at 888-653-0009 or Operation Game Thief at 1-800-332-4155. Also, rangers would like anyone with photos taken of bull elk near Milner Pass to either email them or post the photos to their Facebook page. Time to poach the poachers! Complete scumbags I hope whomever did this is caught & gets the maximum penalty. Poachers need to be made an example of with harsh penaties!! !